The ability to send your prescription to an I.D.A. 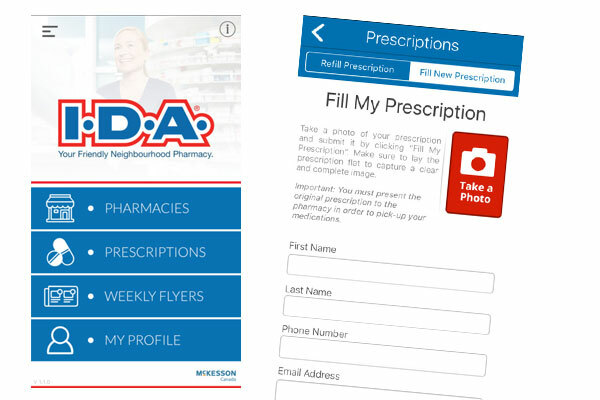 location of your choice - simply take a photo of you prescription hardcopy, fill out your information, and choose your pharmacy. Within 24 hours, your prescription will be ready for pick-up. Click the icons to download to your device.